Apple has ruined its podcasts app. It was once simple, sufficient, and just worked. What happened? Photo illustration by Slate. Image by Apple. I’m not a knee-jerk tech-tweak hater. You know the type: Ugggh, Twitter replaced the favorite button with the like! Twitter is ruined! It was the like button, guys, not the neo-Nazis. But I am able to recognize when an app or interface declines for reasons that go beyond a change I’m just not used to yet. Up until two months ago, the Apple Podcasts app was the only podcasting app I used. I tried Stitcher and even dabbled with listening on SoundCloud (why?). But the Podcasts app—and before it iTunes, the default place where iPhone users used to find their podcasts—had everything I needed. It gave me a nice, workable list of the shows I liked; let me know when those shows were updated; played the shows easily and without glitches; and offered the option of listening in double speed. 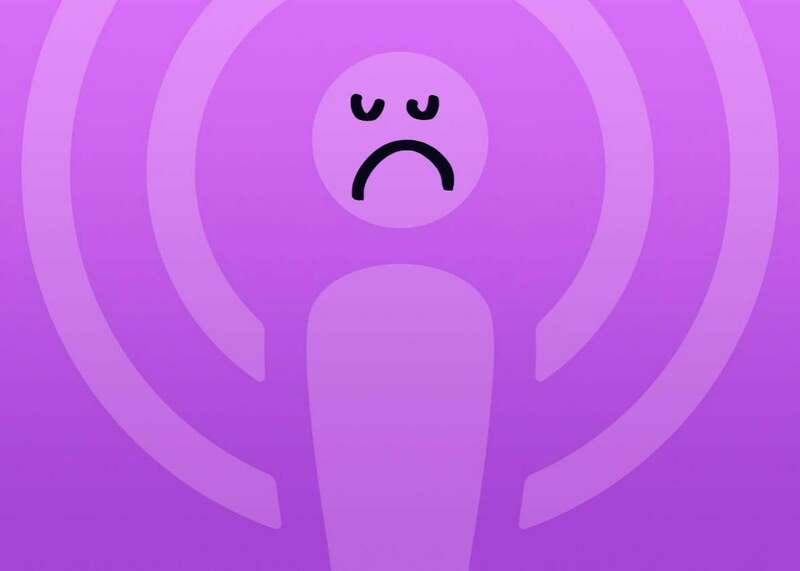 I knew where everything was, and I thought of its shortcomings not as features the app was lacking but more like things one simply could not do with a podcast. If the Apple Podcast app wasn’t great for sharing podcasts via email or text—and it was not—I told myself, “That just must be something that’s hard for a podcast app to execute.” I figured the best a podcasting app could do was to facilitate sharing the feed of a show, rather than the specific episode I was listening to. I never dared dream I could send a specific time within that episode. What sorcery is that? But sometime in the past few months, the Apple app (I feel like I am mentioning a lesser-known Black Eyed Pea whenever I phrase it that way) began to fail me. Of my four basic requirements, three suffered. The list of the shows I listened to was now incomplete. There was no longer a number denoting how many episodes of each show I had on the app. The list of unplayed episodes had melded into the list of played episodes. I was offered the opportunity to browse my “Library,” but access to any “card catalog” or “Dewey Decimal System” proved elusive. Apple kept pushing me toward my “recently updated” shows, but these weren’t the offerings most useful to me every time I checked back in. I suppose if you subscribe to 10 shows but usually listen to four, this algorithmically sorted selection would work for you; but I subscribe to 100 and listen to some or part of eight to 12 each day. 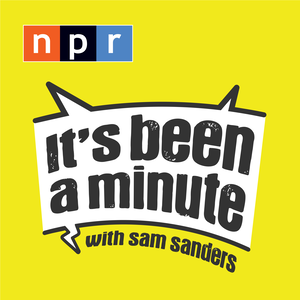 Because the biggest focus of my consumption is newsy podcasts, I wanted to hear shows that had just been posted, the moment a little dot told me they were available. Now, either the dot was gone or I did not know how to find it. The playback got glitchier, and some programs streamed really poorly. I couldn’t tell you why: I’m paid to think about what goes into a microphone, not diagnose what is, or isn’t, coming out of an earbud. But it was unmistakable: The Apple app could no longer consistently fire on demand. But the Overcast app has a feature that improves on the simple idea of speeding up your listening time. It’s called Smart Speed, and it automatically cuts out extra long pauses. Just think: If they had this when Garrison Keillor was still employable, A Prairie Home Companion would be a terse three minutes of rhubarb jingles and place names. Smart Speed constantly recalibrates, and as it does so it informs you how fast you are actually listening. I now get through the podcast versions of all three network Sunday talk shows in a little less than an hour. Overcast also lists the programs in a rational, easy-to-navigate way, and plays without glitches. Oh, and it’s great for sending an email or text of a show you’re listening to to a friend (or a producer). Not only does Overcast direct the recipient to the specific episode, it will take you right to a specific second of a show. As for the Apple Podcasts app, I literally deleted it. I still go to the iTunes Podcasts website and use the Podcasts app on my laptop. It’s good for charts, discovery, and reviews. But for playback, it’s Overcast in a hot second—or with Smart Speed, a scorching third of a second.